Events Easy to set up and economical – use banner stands for your next event and get noticed. 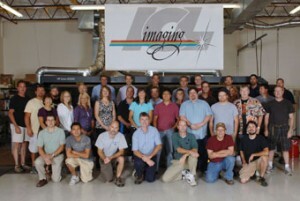 ICL Imaging offers full-service large format printing to help companies like yours promote their products and services with digitally printed visual marketing solutions, such as trade show graphics, fabric banners, retail graphics, vehicle wraps, and Banner Stands and Displays. We offer Banner Stands and Displays with lifetime warranties, as well as inexpensive limited use stands. 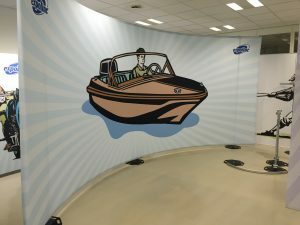 Moreover, our graphics are printed on the material that will best perform for your choice of banner stand, and we install and test it out before shipping it to you. 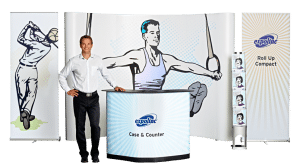 Having invested in the latest large format printing technologies available, we make sure all of the trade show graphics and banner stands you order from us are of the highest quality and complement our other products perfectly. 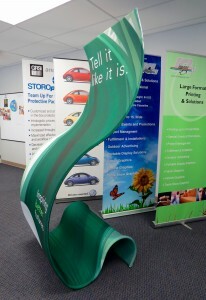 Banner Stands and Displays can range from small table-top units to larger trade show Banner Stands. They are available for both indoor and outdoor use. Interchangeable graphic cassettes can also be purchased for easy graphic change-outs. ICL Imaging offers a wide assortment of trade show Banner Stands and Pop-Up Exhibits for your exhibiting and presentation graphic needs. Please visit our Framingham Idea Room or contact us for a demonstration. Banner stands are easy to set up and take down. All you need are a few minutes and your graphics are good to go. 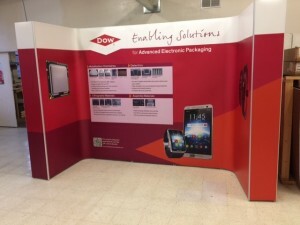 As such, larger Pop-Up stands are ideal if you send only two or three people to set up your trade show booth. 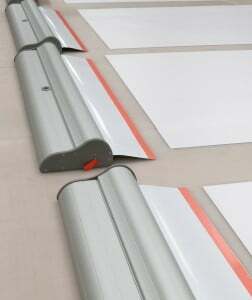 Since banner stands are foldable and lightweight by nature, they are easy to store and transport. You can even leave them conveniently inside company trucks or vans as they do not take up a large amount of space. 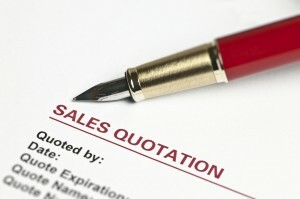 As a result, you do not have to worry about having to outsource your storage needs in between events. 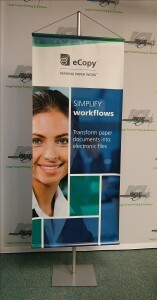 Unlike a variety of marketing assets, banner stands can be used over and over again for many years. The reusability of banners stands alone make them a must-buy for many business owners, especially those who need trade show banners because they regularly participate in trade shows or organize promotions. 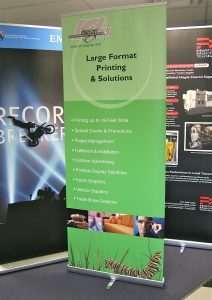 Our banner stands are both durable and versatile, making them a fantastic addition to any event you have in the future. To learn more about our services or to place an order for banner stands, please do not hesitate to give us a call at 800 660 3280. Are you in need of a quick and easy way to announce store specials or exciting events? From retail store advertisements to point of purchase displays, our Banner Stands are highly effective for Promotions, and Information. We are proud to be a top supplier of Banner Stands and Graphics in the Boston area and the rest of New England. Get in touch with one of our specialists today so that we can start working on your eye-catching Banner Stands. 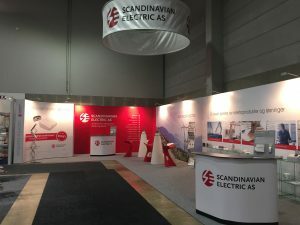 We know that each customer has his or her own unique needs, which is why we offer a variety of Banner Stands and graphics that come in a variety of styles. From store signs and company logos to event announcements and window advertisements, our team can help you choose the right Banner Stand that will best suit its intended purpose. 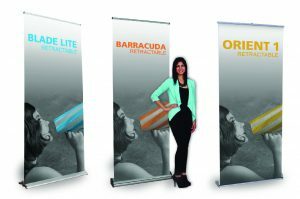 For a retractable banner stand, you want a graphic product that will not curl on the edges after being rolled up inside a canister for weeks. Dimensionally Stable Vinyl works very well on banner stands without curling. 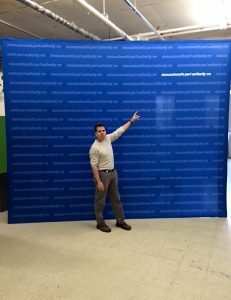 For larger pop-up exhibits we recommend a Heavy Knit fabric that resists wrinkles, we like to call it; resinkle!